Tale of a Guinea Pig: Exploits of a World War II Fighter Pilot. Rare 1st edition hardback, published in 1981. 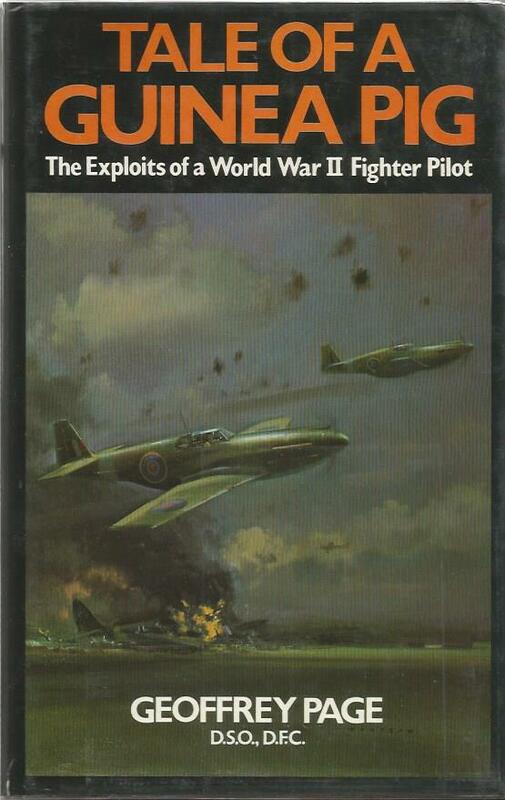 The book is a deep personal account of one mans experience as a fighter pilot in World War Two and the suffering he endured after being shot down and badly burned. He became one of the legendary patients under the care of pioneering cosmetic surgeon Dr MacIndoe who ran his recovery hospital in East Grinstead and which his amazing work gave hope to many aircrew shot down during the war and subsequently enabled many to return to active duty and regain their lives. After spending 2 years in hospital Page returned to active flying with an extra determination to defeat the Nazi's, who he rightly blamed for his injuries and suffering. A very unique book with a very unique perspective by a very unique man. A must read by any enthusiast or historian. NOTE: For a book nearly 37 years old, it is in very good condition with the jacket cover very acceptable. It shows the expected signs of shelf wear for a book this old and having been read. The internal pages are clean and free from rips and tears. A very hard to find book and a collectable edition.